Ankara has long supported radical groups fighting against Bashar al-Assad, but following a failed attempt to overthrow President Recep Tayyip Erdogan Turkey’s upper echelons of power have had a change of heart, siding with Russia when it comes to the Syrian conflict, Deutsche Wirtschafts Nachrichten (DWN) reported. The online newspaper pointed to the fact that Turkish authorities closed the country’s only official border crossing with the rebel-held province of Idlib, Bab al-Hawa, after the botched coup as evidence of a foreign policy U-turn.The media outlet further noted that this decision could be interpreted as Ankara having closed its border with the neighboring war-torn country, something that the international community has long called for. 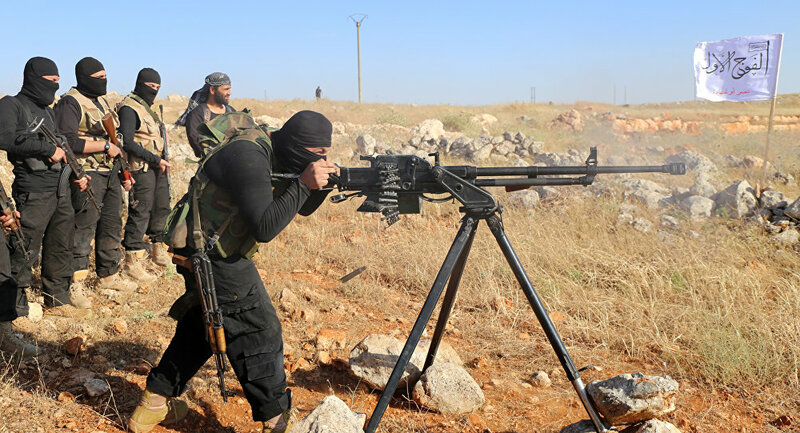 Radical groups, including Daesh, al-Nusra Front and the like have used Turkey’s porous border with Syria to smuggle fighters, weapons and supplies in and out of the battlefield. But it appears to have become increasingly hard to do so. “Mercenaries, who until recently received support [from the outside], hardly stand a chance against President Bashar al-Assad,” the media outlet noted. “It is our greatest and irrevocable goal: Developing good relations with Syria and Iraq, and all our neighbors that surround the Mediterranean and the Black Sea,” Turkish Prime Minister Binali Yildirim said on July 13. “We normalized relations with Russia and Israel. I’m sure we will normalize relations with Syria as well.”These comments and other remarks made by Turkish officials came as a sharp contrast to Ankara’s previous stance on the embattled Arab country. In the months following the outbreak of the Syrian conflict, Erdogan and his supporters provided assistance to groups trying to overthrow al-Assad, once an ally of the Turkish president. 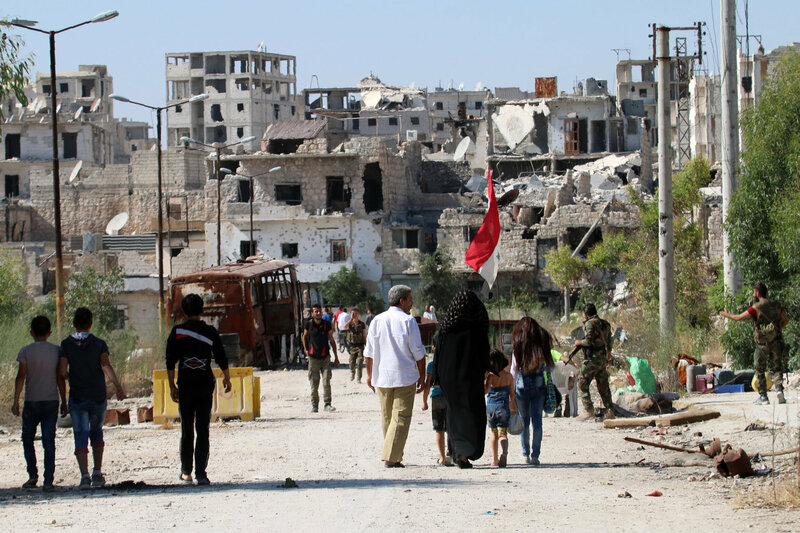 Turkey’s new strategy in Syria has “greatly contributed” to Moscow and Damascus’ efforts to push the militants from Aleppo, one the most populous city in the country, DWN asserted. “We are feeling good now because we are under the protection of the army, may God protect them. We suffered a lot in order to be able to come here,” the Associated Press quoted a Syrian woman as telling state TV. US airstrikes against the Daesh group in Syria are illegal, counterproductive and not serious, Syrian President Bashar Assad said. “They’re not serious, so I cannot say I welcome the unseriousness and being in Syria illegally,” Assad told NBC News. United States politics have hit an “all time low,” Syrian President said. According to the Syrian leader, Damascus hopes the next US president will be “wiser” and “less militaristic. “We keep hoping, but we don’t bet on that hope,” he said. Bashar Assad said that Russian support for the Syrian government army has tipped the scales in the war against terrorists in the Arab Republic. Russian support for the Syrian government army has tipped the scales in the war against terrorists in the Arab Republic, Syria’s President Bashar Assad said. “The Russian support of the Syrian army has tipped the scales against the terrorists,” Assad told NBC News. “At the same time, Turkey and Saudi Arabia have sent more troops since that Russian legal intervention started. But in spite of that, it was the crucial factor,” he added. Bashar Assad said his relationship with Russian President Vladimir Putin is very frank, honest and based on mutual respect. “Very frank, very honest, mutual respect,” Assad told NBC News, answering a question on how he would describe his relationship with the Russian president. The Syrian leader said he was not worried about Putin’s upcoming meeting with US Secretary of State John Kerry and the possibility of Moscow and Washington agreeing on the need for him to resign. “No, for one reason. Their politics, the Russian politics, [are] not based on making deals, it’s based on values,” he said.